← What I wish I’d known before owning a pet. Some marbles. Between 3 and 6 is good. Paper/card in your choice of colour. 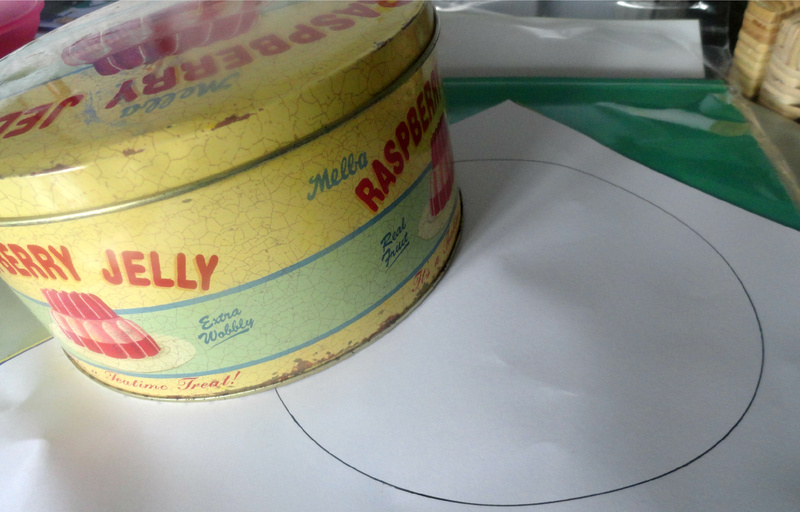 Draw round the base of your tin on your chosen paper or card. Cut it out a little bit smaller so it fits easily into the bottom of the tin. 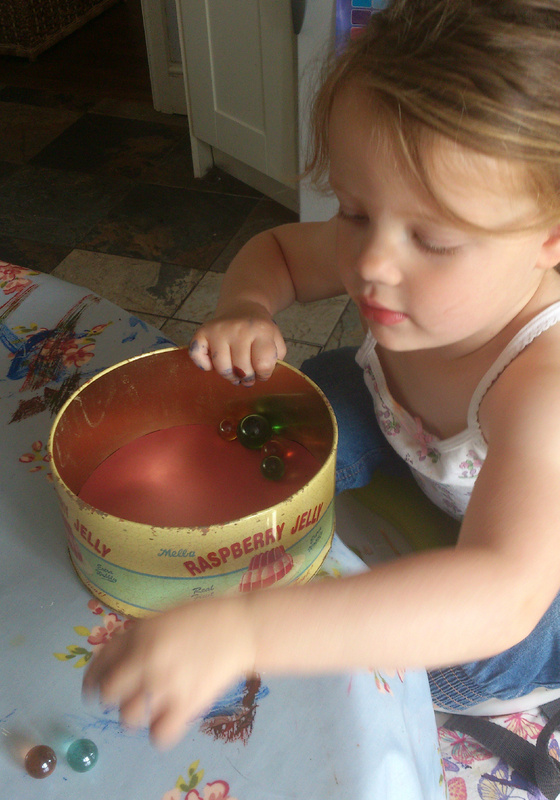 Encourage your little ones to drop in the marbles one by one. How many can they count? 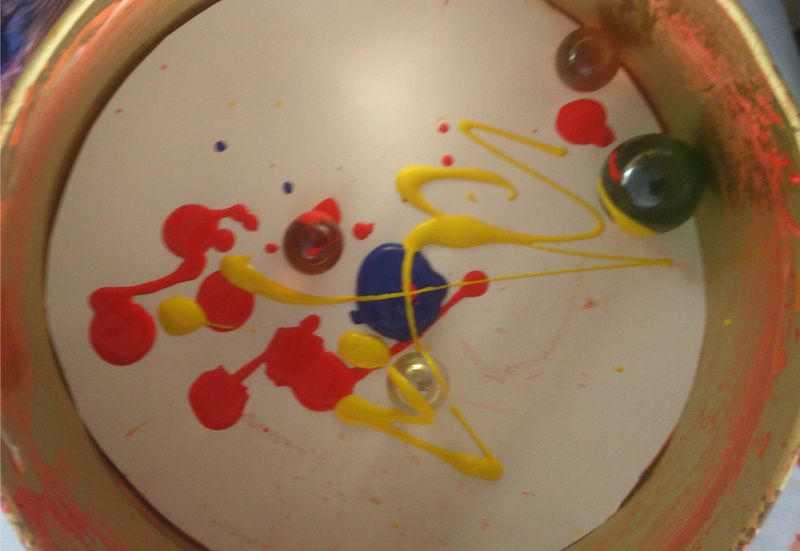 Next, squeeze into the tin a few blobs of poster paint. LESS IS MORE with this. For an average sized biscuits tin, just two or three penny sized blobs is a good amount, and bright contrasting colours work really well. Let them go wild shaking that tin about and making as much noise with it as they can! 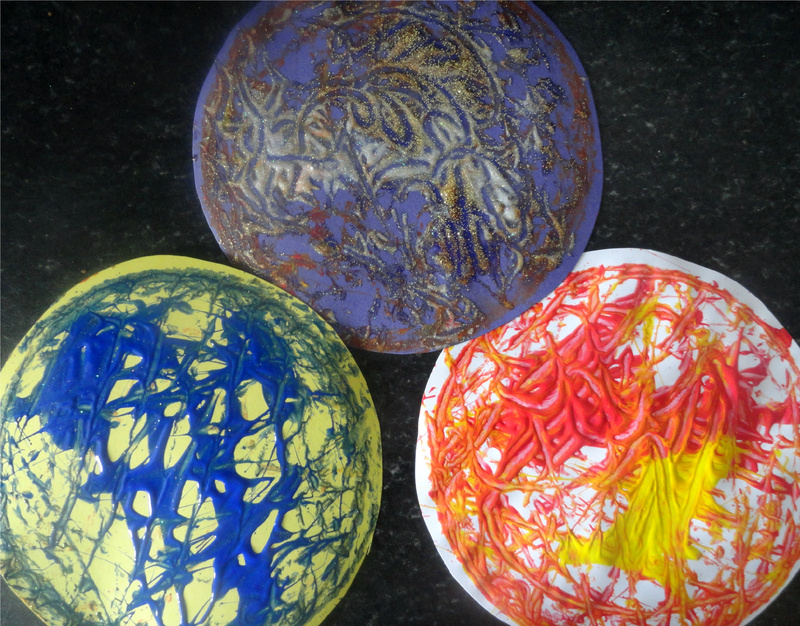 They may only be little enough to SHAKEY SHAKEY SHAKEY, or they may want to try swirling the tin in circular movements or swishing it back and forth to see what patterns they can make. The Reveal! 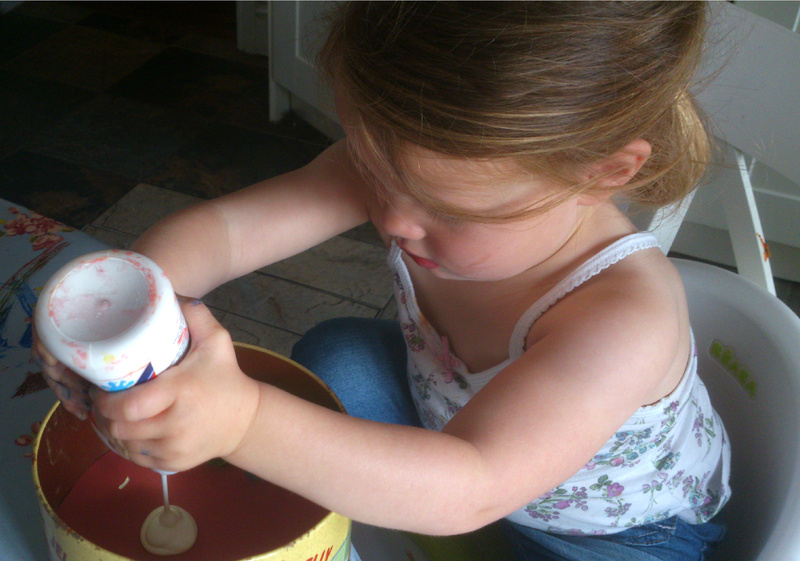 Build up the excitement as you “OOoh” and “AAAhhh” lifting the lid and revealing their own special marble picture! Wow! Why not do a few more? (We’ve even done this with PVA glue on black card, then sprinkled glitter all over it.) Or try different card/colour combinations. Shake high, shake low, put some music on and shake your booty whilst you’re at it. I think the results are pretty funky! They make great backgrounds for a favourite family snap to pin on the wall, or why not string them up and make them into pretty danglers? Lovely. Let me know how you get on? Till next time . . . Yes I have been there too – started something (it felt good at the time) but then I just couldn’t keep it going……..I think things like this usually start at the beginning of the year for me and then when the sun comes out and more outdoor fun can happen I forget all the intentions I originally had (when I was stuck indoors in a cold living room with only the computer to keep me company!! !………I am not saying you are the same but I do this EVERY year!!! 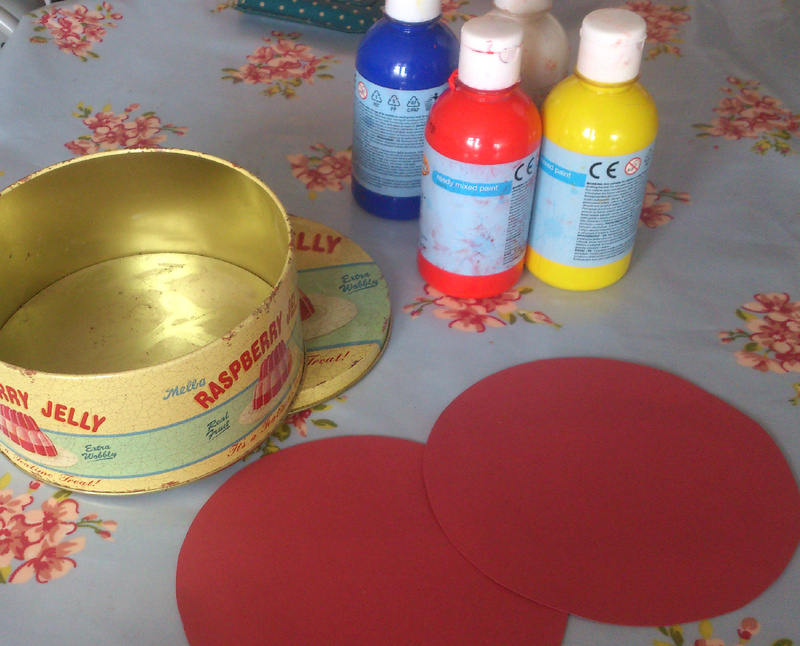 Please keep posting the craft items on your blog though as I like crafty bits!!! ……..and I am yet to master the art of photography!!!! Ooh that’s pretty. Probably not so much on the ears though!! Haha! True – but it is good fun! Good for Christmas too if you use glitter and make them into paper bauble shapes. I did this after reading it on your other blog, great fun! I’ve wondered about two blogs, but yes, it’s quite a stretch.